The consumption of contaminated feed has been responsible for the outbreak of several illnesses such as bovine spongiform encephalopathy (BSE). The contamination of feed can occur due to contaminated raw materials, exposure to contaminated water, improper handling, and inefficient treatment of the ingredients during production and packaging. Feed products have been contaminated by pathogens, toxins, genetically modified products, pesticides, and other contaminants such as allergens and chemical residues. Regulatory bodies have been implementing several feed testing regulations to manufacture safe feed of high quality using Good Manufacturing Practices (GMP), Good Agriculture Practices (GAP), and Hazard Analysis Critical Control Point signify (HACCP) systems. The regulations specify testing of feed ingredients and manufacturing processes at every stage so as to prevent contamination and outbreaks of diseases. The global implementation of these feed testing regulations has been driving the feed testing market. The report provides a complete analysis of the key players in feed testing industry, the main technologies employed to detect contaminants, adulterants, and mycotoxins, along with analysis of feed ingredients and additives, with a clear insight and commentary on the developments and major trends observed in the market. With a huge opportunity existing in the market, the existing laboratories are experiencing a significant boom in the industry. The growth is also attributed to the increasing new product/service/technology launches in the feed testing market. The report provides a detailed analysis on the current phase of the industry and the competitive strategies adopted by the leading players in the feed testing industry. In 2013, North America dominated the feed testing market, followed by Europe. The regulatory bodies in North America have been strictly supervising the implementation several regulations on the labeling of ingredients used on the final product. The food safety concern among consumers has also been increasing due to the media’s influence. The prevalence of the BSE disease in North America and some countries of Europe have led to the implementation of stringent regulations that bind the feed manufacturers to test their feed occasionally. Feed Testing Market is estimated to reach $2.1 Billion by 2019, at a CAGR of 7%. 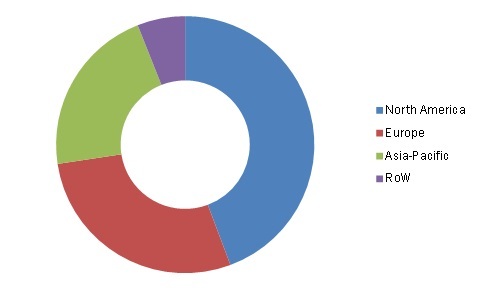 The feed testing market has been growing with increase in concern for animal safety among farmers, feed manufacturers, regulatory bodies, and respective governments. The concern for feed safety has been increasing due to the consumption of contaminated feed, and this has been responsible for the outbreak of several illnesses such as BSE and PED. The factors responsible for feed contamination include improper handling, contaminated feed ingredients, contaminated water, and inadequate treatment/processing of materials. The driving force of the market includes stringent regulations and increasing feed supply trade. The global market involves tests for contaminants such as pathogens, toxins, genetically modified feed ingredients, and pesticides. Introduction of novel techniques to detect and identify contaminants present in the feed samples has also been driving the market. The key market players include Silliker Inc. (U.S.), Intertek Group Plc (U.K.), Eurofins Scientific (Luxembourg), Institut für Produktqualität (Germany), and Romer Labs Inc. (U.S.), which are using strategies such as expansions, investments, new technology/product/service launches, and mergers & acquisitions to strengthen their position in the market. In 2013, North America dominated the feed testing market due to the outbreak of several diseases that affected the health of animals and humans. Stringent regulations regarding feed testing were implemented by several regulatory bodies such as FDA, FAO, USDA, EUROPA, and EFSA, which made it mandatory for the feed manufacturers to test the quality of their feed ingredients and accordingly label the products. Table 57 Summary of BSE Prevention Efforts In U.S. Figure 44 Bse Epidemic Incurred Heavy Losses In U.K.